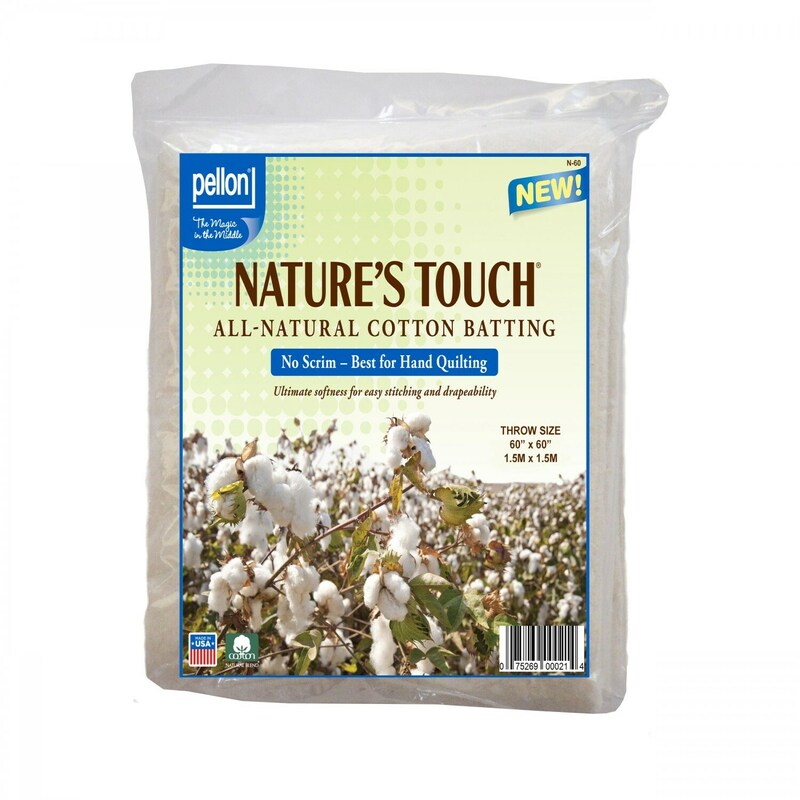 100% All-Natural Cotton Batting is breathable, drapeable, and easy to stitch by hand or machine. The heavily-needled, unique finish makes this the perfect batting for creating vintage and antique inspired quilts. The list of potential projects is endless with this batting containing no scrim for the ultimate flexibility and lightweight hand. For quilters and crafters of all skill levels. Once used in a project, this batting is washable by machine or hand and is dry cleanable. This is fantastic!!!! Great price, excellent product, I'm going to get great use out of every inch! LOVE it!